The Star of Palmer Lake is the claim to fame of this small town in Colorado by the same name. 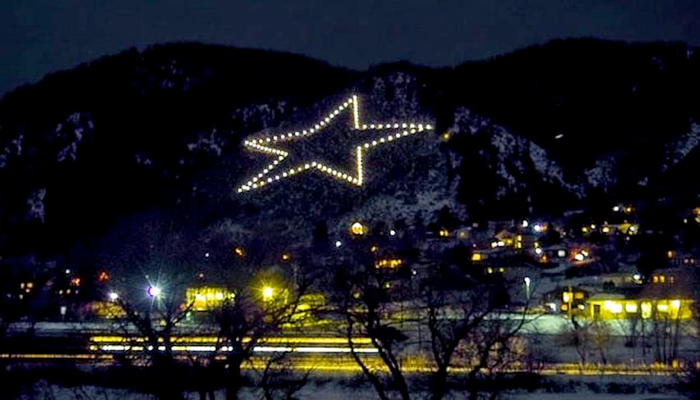 Built on the side of Sundance Mountain in 1934 and rebuilt in 1976, this 500-foot star shines above the city in December and on special occasions every year. I got to see this local wonder in the year 2003. Robert had a gentle spirit as a kid. He talked less than his older brother and sister yet they often knew what he was thinking based upon the look on his face. A stern look that made his face turn as red as a stuffed sausage meant that this little kiddo needed to get to the bathroom right quick! Perhaps Rob was more sensitive than they realized: the kind of kid who took in the good and the bad without saying much while growing up in a single-parent home. Rob looked like his dad which may have given him some slight favor . . . or at least that is what his older brother, Mike and their mom would say. But Rob was too young to really get to know his dad before he divorced his mom then eventually became estranged from the family altogether. How did Robert Matthew Lech get to be so mechanically inclined anyways? Decades later it became very clear that the instruction manual for the Motor City Gear Head that Rob became was in his DNA as well as from those years as a young child when his dad was still around tinkering with this and that in the basement workshop. Just like his Dad, Rob could fix just about anything! There’s one thing, however, that he could not fix. Rob could not change the fact that his dad left without a trace until many years later. All of the kids would be grown up by the time they learned that “Ted” was living in Florida. The older sister had moved to Chicagoland and the older brother had returned from the Navy. Rob had completed an aviation mechanic certification course with his buddy Karl, then never took the test to actually become certified. Rob drifted a bit then became the Grease Monkey who could answer most any question when you dropped by to see him at the local NAPA auto parts store near Palmer Lake. He would often help his customers fix their cars as well, no charge. Rob had many friends for sure. Many of them joined him at the bar of the bowling alley in the evening, much like the camaraderie of the 1980’s television show, Cheers. Rob reached out to his Dad some time after receiving his Dad’s address from his mom. It might have been when the family received notice of his Dad’s brother’s passing that they all saw Ted’s address in Uncle Fred’s legal paperwork. Someone had found Ted! Ted’s sister, Lori, went to visit and Ted reportedly shunned her. But for some reason Rob needed to try to reach out to him anyways. Something inside of him still needed to know his father, the one he had come to be like. These things would be revealed many years later, of course. No one got to know Ted just then. Ted responded to the letter that Rob finally sent to his Dad, telling Rob not to contact him again. Ted said that he had a mental illness and he had found a way to live with it which included estrangement from his family and everything in his past. Ted slipped away into anonymity once again. So very sad, really. Rob was devastated. Rob had another close friend, Dewey, who had passed away which was doubly devastating for this tender-hearted young man. Rob never seemed to overcome the loss of these two important men in his life. His drinking increased and his life crumbled. Before he died he had started to ask questions about God and may have even attended a local church to find some peace. Cans of food from a local food bank were found in his disheveled mobile home along with the slot cars from racing with his dad and brother at local tracks as a boy. 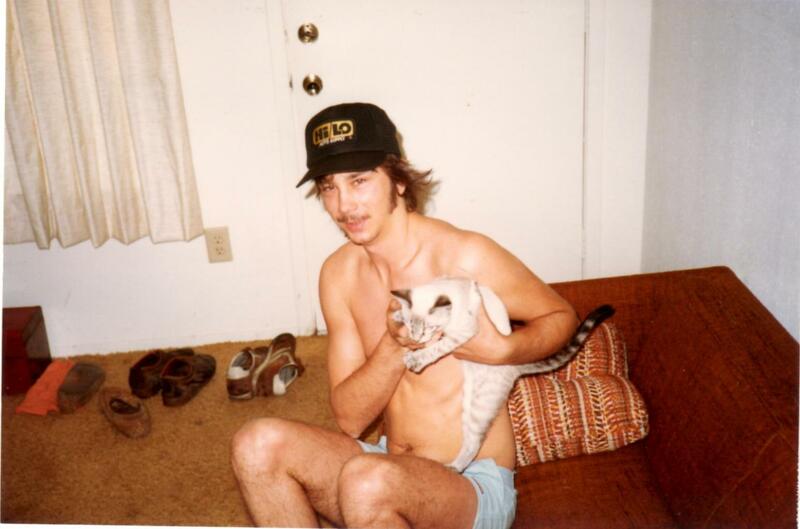 Ted Lech, aka “Mr. 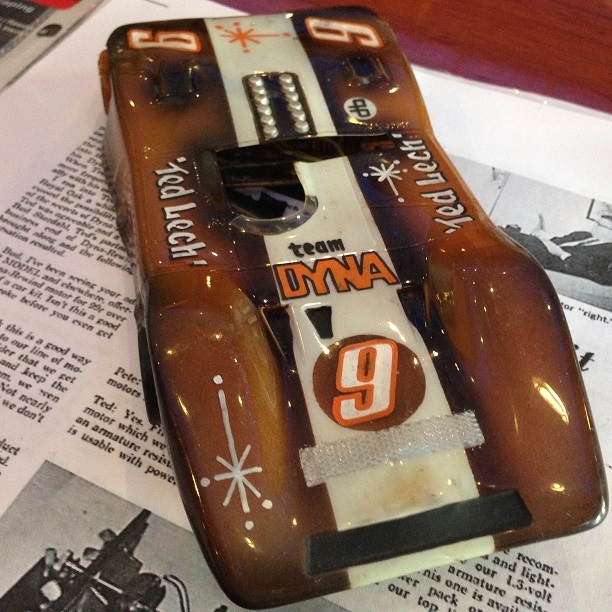 Motor” was a champion slot car racer and design engineer behind Dyna-Rewind: the fastest motors in the cars on the tracks in the 1960’s. Mike and Rob’s best times were shagging cars during competitions, especially those where their dad smoked all the other race cars every Thursday night! I found the letter from our Dad in Rob’s wallet when my mom, Mike and I got into town after Rob had died. I was devastated. I, too, carried big hurts from our Dad leaving us as children and so did Michael. We needed our Dad and he could not be there. I grieved the pain that my little brother must have carried to his grave. I loved Robbie so much! Then I found a picture in his wallet, the only one he carried with him every day. It was a picture of me. Oh dear. My brother loved me too! Sigh. I am not quite sure why this memory is so tender for me right now. I am not quite sure why it still hurts so very much. I am not quite sure my little brother Rob knew how much I really loved him. Oh Rob, how I wish you were still here! I wish you could meet my really cool husband Steve and talk with him about cars and motors and carburetors and hemi engines and more! I sure miss you Raaaaaabeeee! It is quite possible that Steve and I will do some travelling West this Fall. Lord willing, one of our destinations will be New Mexico and potential places north of there for us to live where the climate is dryer. We just may have to visit Palmer Lake, Colorado too. Rob’s ashes were dispersed at the base of one of the stars on the side of the Palmer Lake Star on Sundance Mountain in the late summer of 2003. Mike and I climbed up the steep slope, hanging onto brambles, posts, and the cables that comprise the outline of the star while our mom waited and watched from the road below. Two of Rob’s friends from the bowling alley lead the way for us while we huffed and puffed fighting altitude sickness to complete our mission to place Rob at rest. His remains are part of the mountain that he called home: the second light fixture from the upper right point of the 5-pointed star. It’s also right next to the resting place of his friend and neighbor, Dewey. Kind of poetic in a way . . . I do hope that somehow Rob made peace with his past through the tender love of our Heavenly Father before he passed away. I hope that I will see my little brother and his lanky frame, cute smile, and soft brown eyes when I reach the presence of the Lord someday. Hey Robbie, you will always be a shining star in my memories, my heart. There is good news to report: my brother will be moving into a better rehabilitation facility soon! His fiancé is now his legal guardian and has received preliminary acceptance of his admission into the rehab. unit of a skilled nursing facility close to their home in Port Huron, Michigan. Michael’s Medicaid is now approved which makes this transfer possible. Lord willing he will be there within a week. My heart is breaking that I have not been able to see him since our initial visit to him at St. Johns Hospital April 15th. St. Johns dumped him into an inner city nursing home when a place became available who would accept someone with “Medicaid pending.” The social workers claimed that they contacted 35 facilities before St. Francis accepted him. While we are grateful that this search for a place ended up extending his inpatient rehabilitation 10 more days, the place he got transferred to isn’t much more than “3 hots and a cot.” Oh I guess they give him his medication too and an occasional bed bath. Not much for a 53 year old man who has just suffered a severe stroke and needs considerably more care. I am sad that there has been no follow up on his medical needs after the initial physician visit. (He has a tumor on a kidney that was to be scheduled for biopsy but nothing has happened.) The staff at St. Francis has lost or been unable to locate most of his clothing. Michael sits in a “geri chair” for much of the day which is a large vinyl recliner chair: completely dependent upon others to be moved out of his room, into the dining room, or possibly into the T.V. room. I understand that the building is very old with stained walls, stench of incontinent residents, and constant sounds of demented residents or staff milling about. Michael has gotten weaker from inactivity. His weight continues to be down even with the meals and treats brought to him by his fiancé and our cousin, Lisa. Lisa is an optometrist on staff with the facility but that has made little difference in meeting Michael’s care needs. Lisa witnessed a nurse writing her requests in the nursing 24-hour care log. Nothing happened: 1) he continues to crave cigarettes whereas a nicotine patch would ease his chemical dependency and 2) he never got the wheelchair promised upon admission and supposedly recommended by the physical therapist. I am convinced that the poor, sack-of-potatoes positioning in the recliner chair has contributed to his worsening left shoulder pain. Such is life post stroke with left hemiplegia and no rehabilitative care. In the meantime Sister Bear has secured a television/DVD player, wheelchair, walker, and bedside commode for him. However with the lack of security for his personal items and transportation issues getting the items to him from their respective locations (wheelchair and commode in Mt. Clemens, walker in Adrian, and T.V. here with me in Indiana) everything is on hold until he moves into a better place. Lord willing everything will move forward soon as various family members have offered assistance to get these items to him and his fiancé (also named Lisa!). Lord willing I will be able to visit him at Marwood in Port Huron in about 2 weeks. Surely my serious respiratory infection will be resolved by then and travel arrangements will come together; the seizure attacks have lessened some as well, gratefully. I would have never tolerated visiting Mike at St. Francis due to the extremely high potential risk of environmental triggers for seizures. Even the outdoor patio would have been an impossible place to visit coupled with the resident smokers. Knowing all of this contributed to my heartbreak of late. There was nothing I could do but keep in touch with everyone, secure the equipment, pray, and wait. So I wonder what it has been like for Mike to be so debilitated, alone except for some weekly visits, in a dumpy and dirty living environment? I understand that he had his Bibles brought to him and pictures taped to the wall next to his bed. His fiancé Lisa says that he was trying to do his exercises on his own as best as he could. Without being able to get up and bear weight on his left arm or leg, however, the benefits of exercise would be limited. The risk for complications has been elevated with some realized as ongoing pain and weakening instead of continued progress. 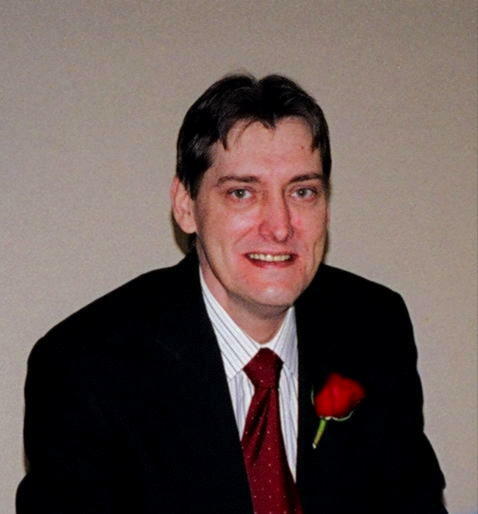 He was too debilitated to return home from St. Johns Hospital without 24-hour physical assistance and considerable accessibility modifications. Hopefully he will be more mobile and independent when it’s time to leave Marwood and go home. In the meantime he has had a lot of time to think about many things. I hope he reached out to the Lord, the person of Jesus Christ, in his time of need. I hope he will find some purpose, some meaning for this desolate oasis of time. Most communication between us has been cut off since Mike arrived at St. Francis due to the sorry state of their phone system. (No surprise that the place is rated one out of five stars.) After getting through to talk to him on his first day there, the facility phone was always busy when I called. Twice I happened to call when his fiancé Lisa was visiting so I could hear his voice for a few moments. The last time there were so many loud voices and screaming in the background that the words were tough to hear. I can picture the scene in that place very easily. I worked in all types of care centers from the inner city to private pay life care communities as an occupational therapist. Many times I completed those wheelchair screening assessments and crawled around dirty, stuffed storage rooms and sheds until I could find a wheelchair with matching parts for a new resident. Oh well. When you don’t have insurance you get what you get. I guess that Mike was actually fortunate to not be dumped in a homeless shelter. At least there were security fences around the building and a guard at the front door. The boarded up homes across the street were intimidating to fiancé and cousin Lisa yet they visited anyways. I sure wish I could have gone to see him too. I miss my brother. I look forward to seeing Mike and holding him for a long time when I do. There is much sadness for all that he has lost. There is also much anticipation for all that the Lord has in store for him and his fiancé Lisa too. I believe that the Lord has His hand on him in that Mike’s life was spared. Just under half of all persons who experience a cerebral vascular accident don’t survive. Mike’s cognitive abilities and ability to communicate have been spared. His ability to swallow foods from a regular diet was quickly restored. In my clinical experience these rarely happen in a person with severe left hemiplegia. We are all hopeful that his ability to function will improve over time as well. The rule of thumb is that the most rapid recovery occurs within the first 3-6 months post stroke. He is six weeks out from his onset date of April 13th and continues to feel new sensations in his affected arm and leg. And now his next phase of rehabilitation is about to begin bringing new hope for more return of function. This time I’ll bet at least a quarter that Mike will be very motivated for physical, occupational, and speech therapy! That will be very good to see indeed. Until then, please join me in praying for Mike and his fiancé Lisa. Lisa has a teenage son, Alex, who loves Mike and hasn’t seen him since April. There’s a golden retriever named Garfield who misses him too. The new place is closer to their home so I hope all of them will get together sometime soon; even dogs are allowed to visit at Marwood! Oh I am grateful for such blessings. Yes, there is good news this day with the promise of even more to come. Thank you Jesus for your enduring grace and mercy. Go before us, strengthen our faith, bring healing to our dear Michael for your glory Lord. In Jesus’ name. Amen. Focusing on breathing today. It’s all I can do. The stress level is high as Steve and I anticipate travelling out of State to see my brother tomorrow. Gratefully I report that it appears he is stabilizing after having had a severe stroke this past weekend. My own struggles with illness and daily seizure-like episodes continues. A new treatment for me didn’t pan out too well, increasing the severity of the post-treatment episode. Oh well. The Lord goes before me and all of us as we call upon His mighty name: Abba Father! Lord I need you now. 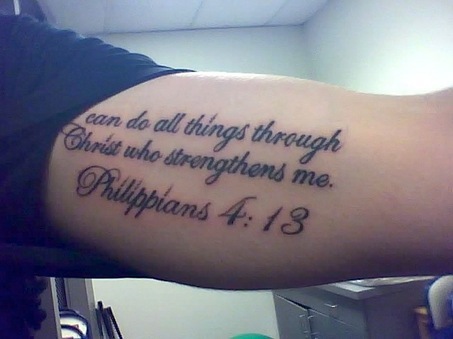 I submit Mike’s left-sided weakness to the Lord who strengthens us all.